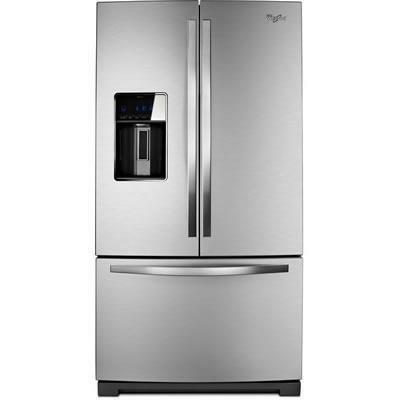 Whirlpool® 27 cu. ft. French Door Refrigerator with the Most Fresh Food Capacity Available also features MicroEdge™ shelves, In-Door-Ice® system. Triple Crisper system and more. It also features enhance stainless steel features.